Christmas is just around the corner and the delightful, Santa’s Christmas Cheer Wall Hanging is perfect for a last-minute project. Although the pattern is for a wall hanging, it could also make a fun cushion and would fit an 18-inch (45 cm) cushion insert. Fusible webbing is used for the applique and a light box is ideal for tracing the pattern. However, if you don’t have a light box, simply tape the pattern over a window and use the natural daylight. The small pieces for the applique can be gathered from your stash. 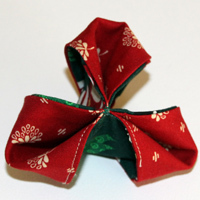 Use your imagination to see how you could fussy-cut the small pieces from other larger pieces of fabric. This is the fun part! 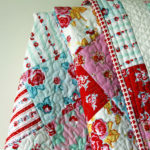 Once the pieces are fused onto the background, finish with a blanket stitch, either by hand or by machine. It doesn’t take long to add the borders and to scatter a few extra stars. Because it’s a such a small project, it’s quick to baste and to quilt. Again, do this by hand or machine; depending on your quilting preference. 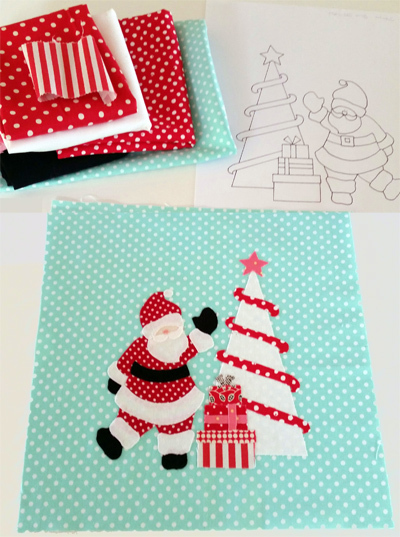 The pattern for Santa’s Christmas Cheer has step-by-step instructions. It’s ready to download and print, so you can make this little treasure just in time for Christmas. 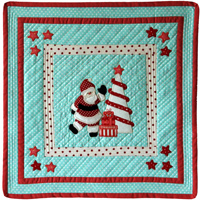 For more cute Christmas projects and a glorious selection of quilt patterns that will keep you quilting throughout the new year, visit our shop. There are patterns for everyone. Thank you for your friendship and support. 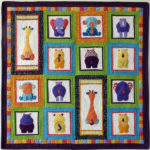 Having such wonderful quilting friends all over the world makes every day a joy. My wish for you in 2018 is more love, more joy, more quilting and, above all, more fabric!